Honoring Jesuit student/athletes who have played or are playing professionally. Please Note: This site is new and posts are being added daily! Anderson, in his senior season at Jesuit hit over .400 with 14 home runs in 29 games. 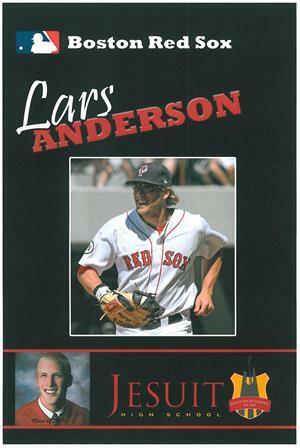 Coming into the 2006 Major League Baseball Draft, he signed with the Red Sox and made his professional debut in April 2007 with the Greenville Drive. ”He really understands the strike zone well, and he recognizes balls and strikes early,” said Gabe Kapler, the former Sox outfielder who was Anderson’s manager at Greenville. 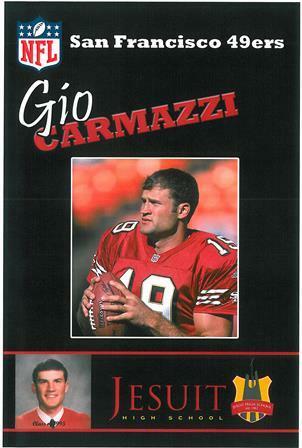 Carmazzi was drafted by the San Francisco 49ers in the third round (65th overall pick) of the 2000 NFL Draft (he was the 2nd quarterback taken all draft) as a backup quarterback. Gio attended Hofstra University where he threw for over 9,000 yards and still holds most records for the quarterback position, and was a Walter Payton Award finalist in his senior year. 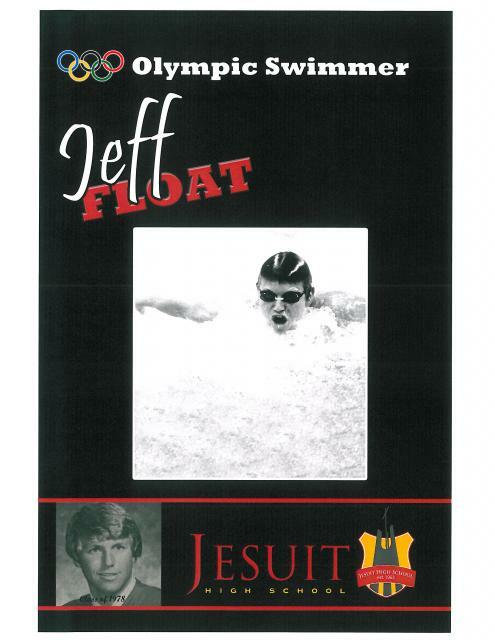 Jeff is a former competition swimmer, world record holder, world champion, and Olympic gold medalist, obtained a bachelor’s degree in psychology with a minor in business administration from the University of Southern California in Los Angeles. He qualified for the U.S. Olympic swimming team in 1980, but could not participate in the 1980 Summer Olympics in Moscow when the games were boycotted by the United States; four years later, he competed at the 1984 Summer Olympics in Los Angeles. Mike began his baseball career as a switch hitting catcher being drafted by the Houston Astros in the 5th round of the 1995 MLB amateur draft and in 1996 was voted best defensive catcher in the Houston Astros organization and led all catchers with a .997 fielding percentage. In 2004 as part of the Oakland A’s organization, won back to back AAA championships in 2003 and 2004 while earning Pacific coast league All-star honors as well as best defensive catcher in the minor leagues nationwide. 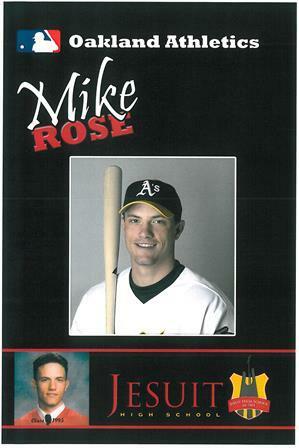 Rose made his Major League Baseball debut with the Oakland Athletics in Oct 2004. 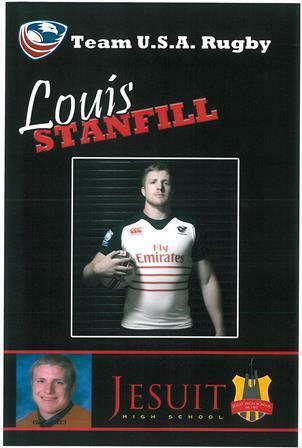 Stanfill played both rugby and football at Jesuit where he helped lead his team to a national semifinal rugby appearance and was named Sacramento football defensive player of the year in 2002. He continued with Rugby at Cal, where the team won several national championships and he was selected as an All-American. 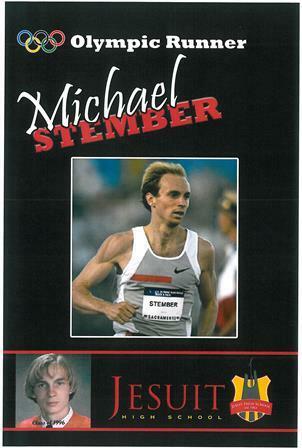 At the age of 19, Stanfill became the third-youngest player for the Eagles when he made his international debut at the Toshiba Super Cup in Tokyo, Japan, against Canada in 2005..
Michael is a track and field athlete known for his achievements in the middle distance events. His first international competition was winning the gold medal in the 1500 metres at the 1997 Pan American Junior Championships. He won a silver medal at the 1999 Pan American Games in the men’s 1500 metres. He ran in the 2000 Summer Olympics in Sydney, Australia, where he qualified for the semi-finals but finished a non-qualifying 9th. He returned to the 2003 Pan American Games and repeated his silver medal in the men’s 1500 metres. In 2004 he became the U.S. Indoor 800 m champion. Andrew signed a letter of intent to play college baseball for the Oregon State Beavers baseball team, but was also coveted by Major League Baseball. Baseball America rated him as the 40th best available player in the 2009 MLB Draft. 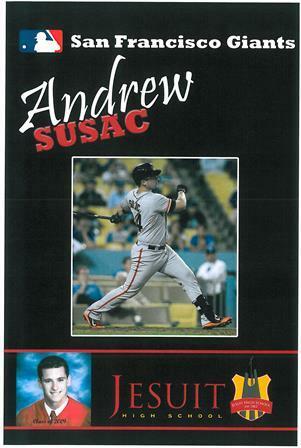 Although the Philadelphia Phillies selected Susac in the 16th round of the draft, he opted not to sign, instead enrolling at Oregon State. Eligible for the 2011 MLB Draft, the San Francisco Giants selected him in the second round, where he was assigned to the San Jose Giants of the Class A-Advanced California League in 2012 and the Richmond Flying Squirrels of the Class AA Eastern League in 2013. Sam, a retired professional tennis player, is currently a Manager for Strategic Partnerships with Dropbox. He was a 4-time All-American for Stanford University, and won the NCAA Doubles Championship in 2004 while partnered with KC Corkery. He also won the 2004 & 2005 PAC-10 Singles titles. Warburg turned pro after graduating from Stanford in 2005 and broke into the top 200 late in 2006. 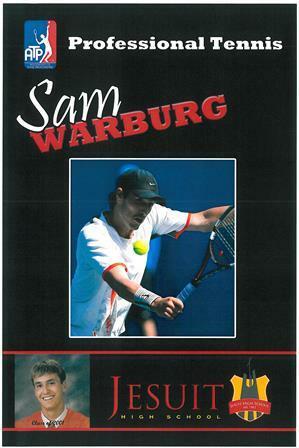 Warburg spent most of 2007 & 2008 ranked in the top-200 in the world, reaching a high of #132 in May 2008. He also reached a high doubles ranking of #117 in November 2007.